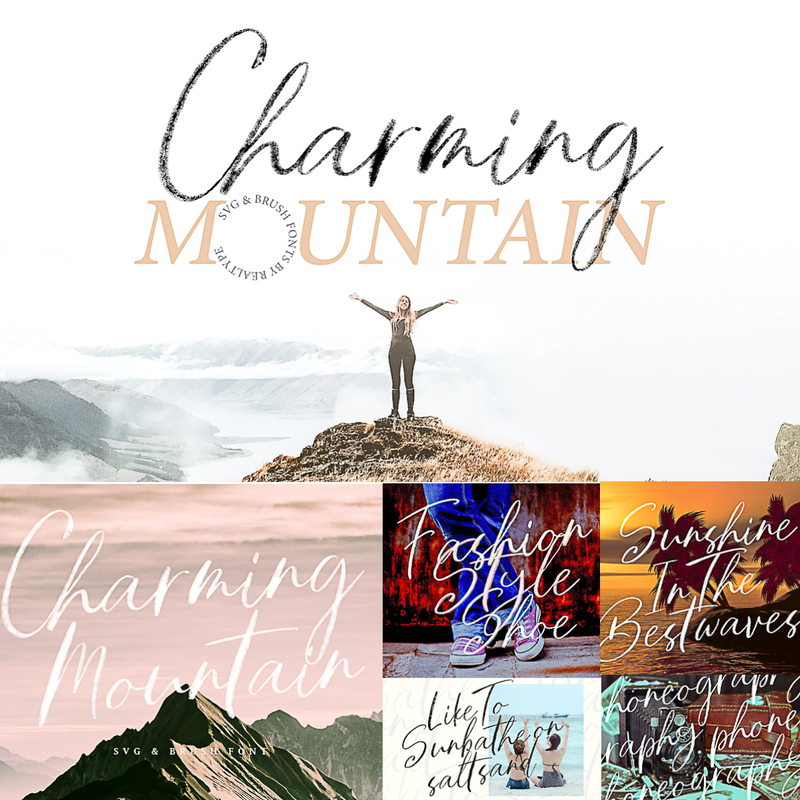 Introducing Charming Mountain SVG & regular brush fonts. Written in a fast motion using a wet brush. When you are typing with these fonts, it will look like written with a chalk. There have the very smooth textures. File format: .otf, .ttf, .woff, .woff2, .css for Photoshop or other software. Tags: brush, brush font, chalk, chalkboard font, cool font, hand drawn font, handwritten font, hipster font, marker, script.